Click now to rent ($2.99), buy ($9.99), or watch with your Amazon Prime account ($0.00)! 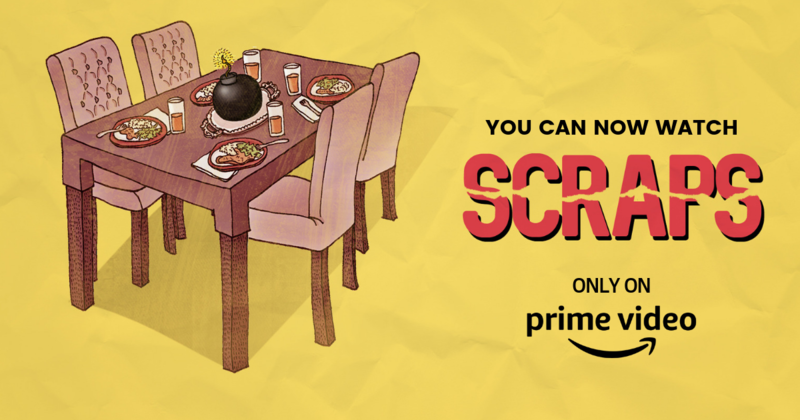 Please rate & review SCRAPS on both Amazon and IMDb to help more viewers discover the film. dinner party drastically alters the lives of everyone in attendance. For bios and full credits, please see our Cast and Crew pages. For our downloadable press kit, links to podcast discussions, and more, please visit our Press page. To read writer/director Daniel Shar's neurotic ramblings about the process of making SCRAPS, click here.